HomePlaythroughPlaythrough: “Ora Pro Nobis Lucifer” from Behemoth! Playthrough: “Ora Pro Nobis Lucifer” from Behemoth! Filmed at Brutal Assault Festival in the Czech Republic this past summer and released yesterday, here’s drum Cam footage of Behemoth sticksman Inferno playing “Ora Pro Nobis Lucifer” in its entirity! 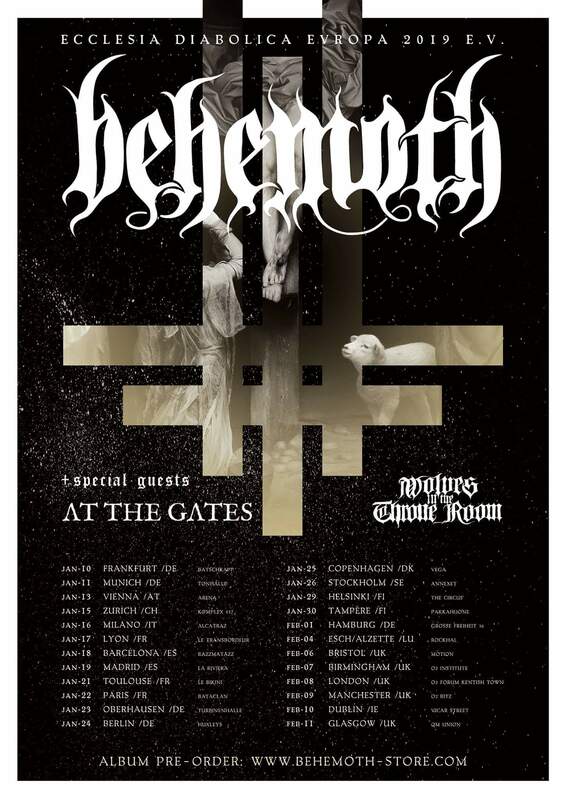 The band will be upon our shores for six dates with At The Gates and Wolves In The Throne Room. Playthrough: “Darkest Spawn” by Lorna Shore! Playthrough: “The Great Dividers” from Unearth!